Mix all this magic ooze milk and keep it refrigerated until the cake is baked and cooled down. Melt the butter; beat the butter and sugar. Add the flour in small amounts and mix well. Add the baking soda and mix the batter well. Grease the pan with butter, pour the batter and bake for 35 mins. With the fork test, take out the cake and let it cool down. Prick the whole cake at several places with a fork. 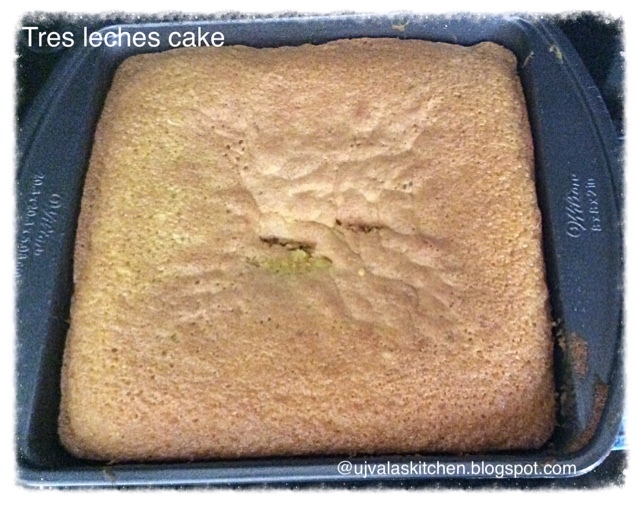 Pour the ooze milk(that is stored in fridge) on the pricked cake little by little. Keep it refrigerate. Let the cake soak in the milk for atleast an hour. 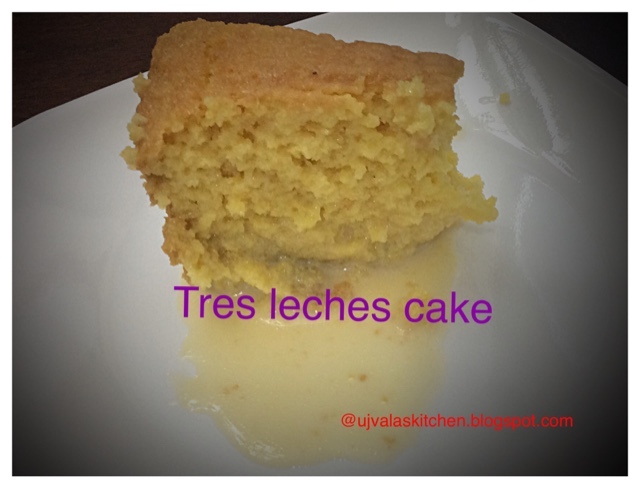 That's it, chill, yummy, simple tres leches ready. Seethamma vaakitloa siri malle chettu my take !! A star " Shakthi "